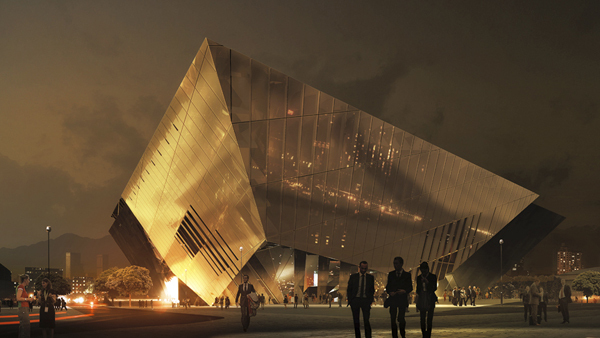 The new architecture for The Bogota International Convention Center, proposed by Saucier+Perrotte Architectes, is meant to act as a reflection of the majestic topography surrounding the site. 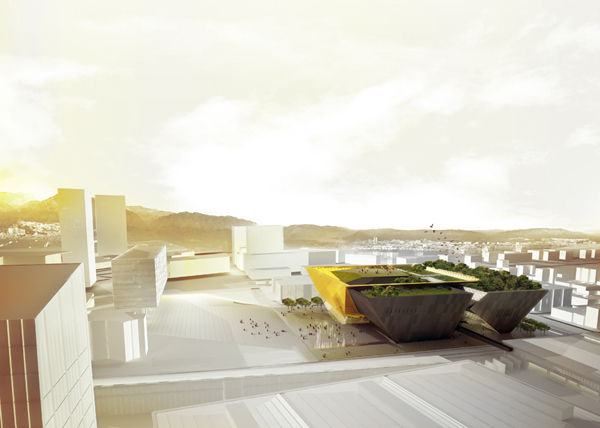 The signature building for Bogota and for Colombia-CICB, takes root in the physical and cultural landscape of the city. Cradled between the mountains and the river, this stunning landscape gives the urban environment and architecture its unique identity. 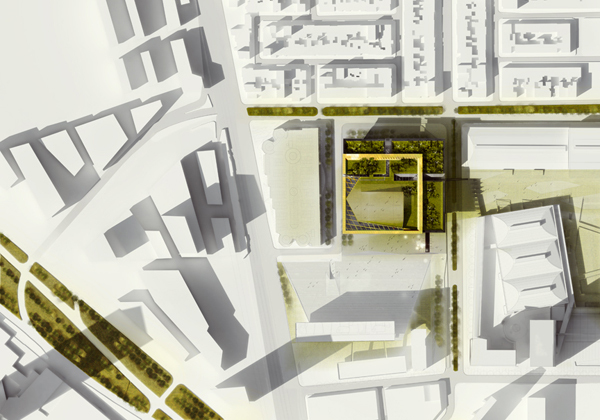 This conceptual, broad horizon defining the space of the new project contains the geology of the site, its artifacts, both large and small, and the “veins” of precious metals, such as gold, that run beneath the city. 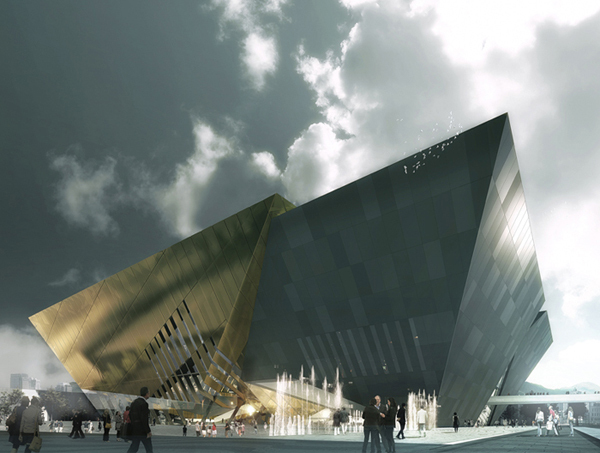 The space between is reminiscent of Bogota’s powerful topographic markers (los ceros), reflected in space to contain the diverse activities and functions of the convention center. 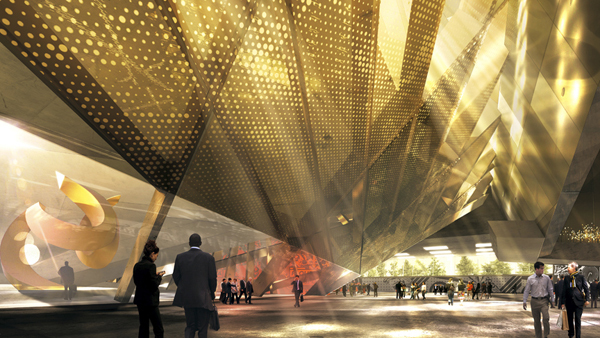 Positioned as the fulcrum of activity of the integrated business, art, cultural and entertainment district of Bogota- and the heart of the Innobo Ring, the new convention center design bespeaks the stature of international events it will house and simultaneously speaks to the city and culture of Bogota. The competition jury shortlisted five architectural firms as finalists, and after the two-stage international competition, the consortium Bermudez and Herreros Architects was chosen to build.